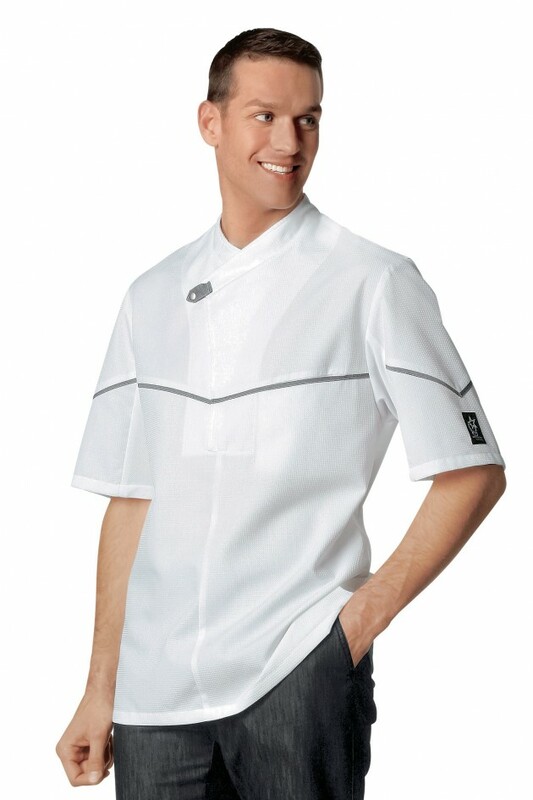 Chef's Jacket with grey trim. Short sleeves. Terry cloth lined collar. Velcro front fastening with feature press stud. Chest pocket. "COOKING STAR" patch on the left sleeve. 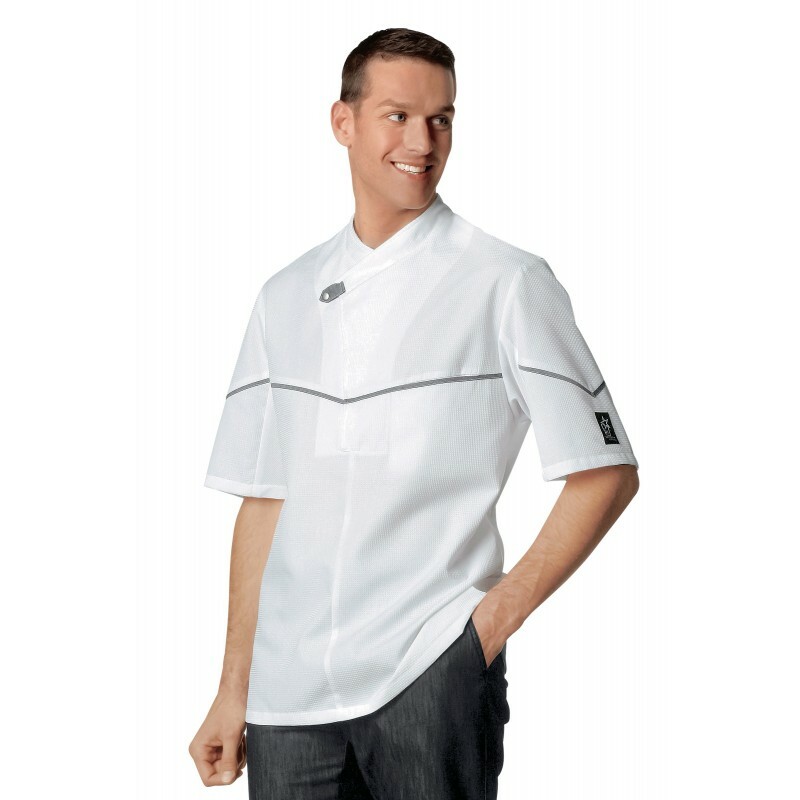 Armholes with anti-perspirant COOLMAX® fabric. Registered design.